If you’re anything like the Wife and I, you’re what’s known as a hot mess. Ok, maybe we’re not that bad, but clutter really seems to rule our life. It’s understandable, to a point. We both work long hours, and take care of our son, so the last thing we’re thinking about when we get home, or have some rare down-time, is picking up and cleaning around the house. I would have to say the area we let lapse the most is going through our mail and putting it in the proper place (like the trash can). Most days when we get home our routine is the same; pull up, check the mail, attempt to get our son in the house for about 20 minutes, plop mail down on the dining room table, rinse, repeat. So, after a week (or 7) you can imagine how much mail and other junk is sitting on our table. It really bums me out, because our dining room table should be a clutter-free place to enjoy family meals and to relax. I finally decided to do something about it. I told the Wife I wanted to do a DIY project to help improve our clutter situation. I received the “Are you kidding me right now?!? I’m 8 months pregnant, and you want to do a home project” look. 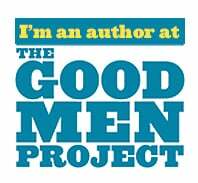 But, after explaining what I wanted to do, along with a 4-hour PowerPoint presentation detailing the pros and cons of my project, the Wife agreed. HUZZAH!!! So, one sunny afternoon, the Wife and I headed out to Lowe’s to get all the supplies needed for our new entryway chalkboard wall and mail organization station. I found everything I needed in a snap; chalkboard paint, rollers, brushes, and a handy Kobalt cordless drill…because who doesn’t like putting holes in the wall?!? 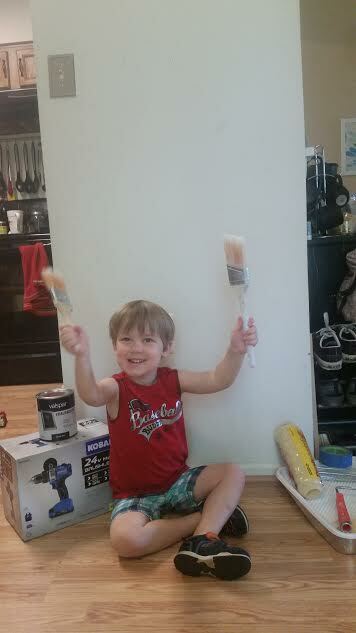 I decided to recruit my little guy to help, and let me tell you, he was pretty excited when I asked. Even at 4yo, I figured this would be a great opportunity to teach my son about tool safety, and how to do projects around the house. Plus, he’s kind of my shadow right now, so it’s not like I would have gotten much done without him wanting to try everything…like Dad. The first thing we had to do was tape off the walls. The Wife and our the boy said they could handle that part without me. Clearly I can’t leave these two alone. Time to micro-manage. 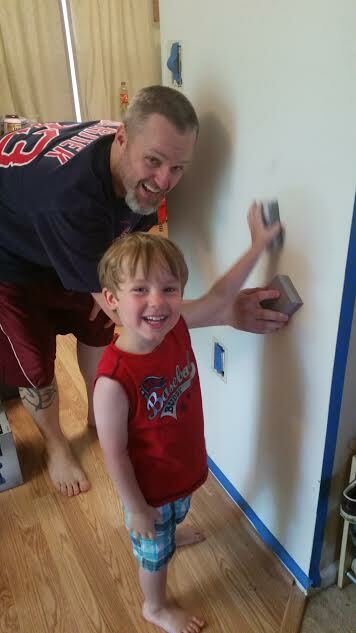 Next, it was time to sand and clean the wall. After patching a couple tiny holes, we were ready to go. I think this was probably my son’s favorite part. 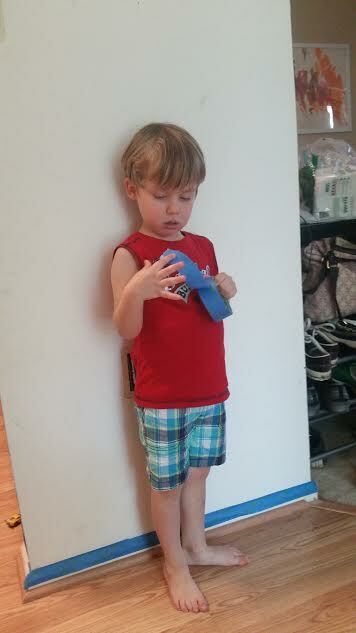 After taping and sanding, my labor force quit on me. The Wife went to rest, and the boy, well, he something about needing a nap, so we knocked off for the day. We were back at it bright and early the next day applying the paint. I have to admit, my son did a really good job with the paint. He has the typical attention span of any 4yo, which is to say I expected the paint brush to hit the floor at any second as he ran off to play with his toys. 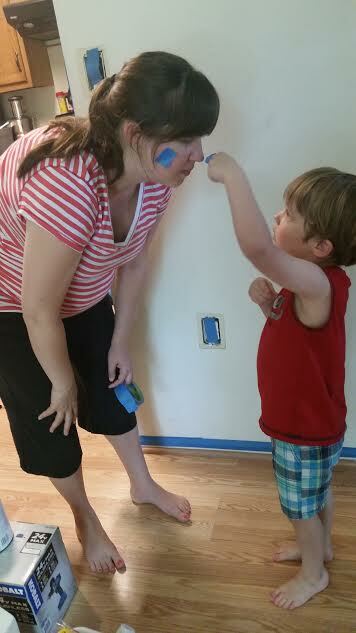 But, he actually stayed through the whole paint application, and even helped me clean up. 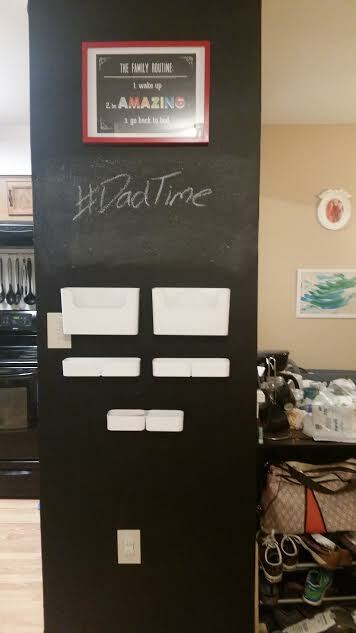 After the paint was dry, I put on a new light switch and outlet cover (also purchased at Lowe’s), and then after putting a few too many holes in the wall while drilling; because measure once, screw up twice is the saying, right; I hung up a couple pockets for our mail, and for some chalk. And, voilà!!! A new mail organization station, along with chalkboard so the Wife can leave me loving notes like, “Pick up your junk!! !” and the boy has a place to draw as well. 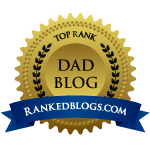 I really am one of those guys who says, “I don’t want anything for Father’s Day,” because really, I don’t. I would much rather do things around my house to improve our peace of mind, and have a little fun with my family while doing it. 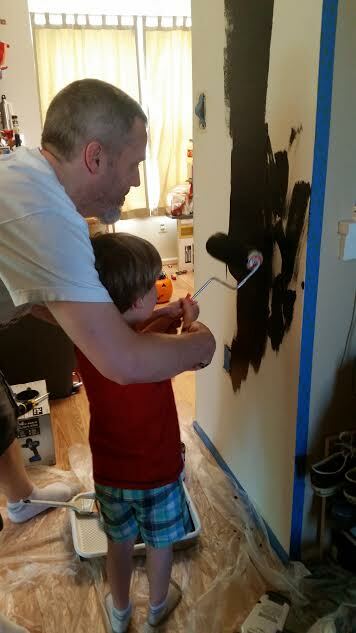 So, thanks Lowe’s, for the awesome Father’s Day gift…a little dose of #DadTime. I’ve tried to employ Dude in helping with DIY around the house. He seems less interested than a Butterfly being offered a Lama for dinner. Maybe it’s because he is 16.
lol…my kid is literally my shadow right now. I’m sure in a couple years that will change. He’s still my shadow but only because I carry a wallet. Awesome job, your pictures were great. Glad you had fun doing this. I’m impressed looks very good maybe you did het some of my DNA after all lol. I love this idea! Nice job!